Niacin benefits the brain and may play an important role in protecting against Alzheimer’s disease. Among the many supplements and vitamins for memory protection are the B-vitamins. The growth in Alzheimer’s disease prevalence is alarming. An abundance of research is trying to figure out how we can protect our brains from degeneration to keep the mind sharp and memory intact. Among the many supplements and vitamins for memory protection are the B-vitamins, including B12, B6, B9, and B3, or niacin. While the first two are more commonly associated with dementia and cognitive function, niacin benefits the brain as well, and it may play an important role in protecting against Alzheimer’s disease. Most attention on B vitamins for dementia focuses on vitamin B12, B6, and B9. This isn’t surprising; studies show that deficiencies in these vitamins are common in the elderly and can contribute to cognitive decline. Treatment with a complex of B-vitamins helps to prevent neurodegeneration. One study showed that over two years, vitamin B treatment slowed shrinkage of the whole brain, and further study showed that B vitamins reduced gray matter atrophy in regions of the brain specifically susceptible to Alzheimer’s-related degeneration. 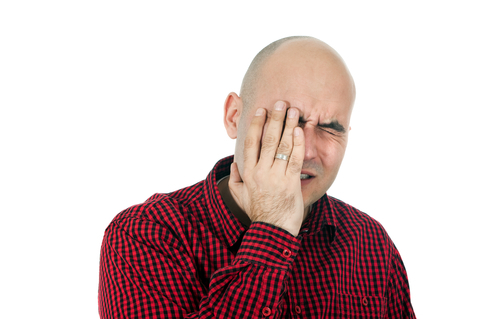 Niacin treatments have led to improvements in cognitive test scores and overall function, while a deficiency in niacin (called pellagra) can cause symptoms of mental confusion and dementia, along with scaly skin, muscle weakness, and diarrhea. 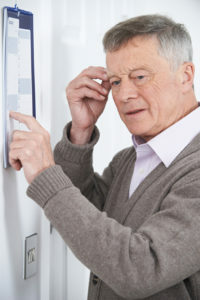 One study found that lower blood levels of niacin were more common among elderly patients with dementia than controls. Niacin is important for DNA synthesis and repair, the growth and formation of nerve cells, cell signaling, and antioxidant functions in the brain, all of which likely contribute to the niacin benefits for dementia. Niacin is also one of the more effective ways to lower bad cholesterol and raise good cholesterol. It turns out that cholesterol levels are linked to Alzheimer’s disease, so another way niacin may prevent Alzheimer’s is through keeping cholesterol in check. Foods rich in vitamin B3 include meats, fish, legumes, nuts, coffee, tea, and common enriched food products. Niacin can also be taken as a supplement – try a dose of between 17 and 45 mg. If you have symptoms of a niacin “flush,” including burning, itching, redness, or headaches, lower your dose and increase slowly. If you are at risk for cognitive decline and want to take steps to protect your brain, a B-complex vitamin that contains niacin as well as B12, B6, and folate is also a good option. Do you take niacin? What other steps do you take to prevent memory loss or dementia? Share your thoughts in the comments section below. J Alzheimers Dis. 2006 Aug;9(4):429-33. Proc Natl Acad Sci U S A. 2013 Jun 4;110(23):9523-8. J Neurol Neurosurg Psychiatry. 2004 Aug;75(8):1093-9. Harv Heart Lett. 2004 Oct;15(2):7.
age related cognitive decline, alzheimer, alzheimers, antioxidant, b vitamins, b12, bad cholesterol, brain, cholesterol, cholesterol levels, coffee, cognitive decline, cognitive function, dementia, diarrhea, folate, food, good cholesterol, headaches, lower bad cholesterol, memory, memory loss, muscle, niacin, niacin benefits, niacin flush, nuts, prevent memory loss, skin, studies show, supplement, supplements, vitamin, vitamin b12, vitamin b3, vitamins, vitamins for dementia, vitamins for memory, vitamins for memory loss. I use a sublingual B complex complex and I feel a very quick boost in focus and energy. My experience is that It is critical to stress that the elderly must take a sublingual B complex or submit to shots because expecting the elderly digestive system to be able to absorb and process the entire B complex is problematic in itself. I’ve been taking niacin (the immediate flush version) for several weeks now. It has improved my sleeping and memory significantly. I’ve been taking Niacin (flushing kind) for about 2 months now. I started taking 250mg but now I take 500mg in the morning and 500mg at night. Sometimes I still flush in the morning, sometimes not. I have found that the Niacin greatly improves my ability to get to sleep, and greatly decreases my anxiety, general mood is vastly improved. I took niacin when I was young and recently went back to it after noticing my memory wasn’t as good as it used to be. Been taking 300 mgs before bed, flushing helps me fall asleep and my memory issues are so much better. If I wake up in the night take another 2oo mg and it helps me fall back asleep. I’m in my 60s and still working in a ffast paced industry. nu este vorba de niacinamida? I have been prescribed niacin for several years and I take a lowdose aspirin an hour before going to bed and then take it last thing before falling sleep, and I don’t get the flush symptoms because of the aspirin, thanks to my primary doctor. floarea of November 25: Niacin is the natural form. Niacinamide is synthetic and may not have the same properties as Niacin. My father suffered delirium last year. Now we know that he had a UTI from severe dehydration but at the time the doctors did not have a clue what it was. They admitted him and wrongly placed him on rispiridone and benztropine. This, we found out, was irresponsible as my father is 78 with no history of ill heath or mental illness. The difference is amazing. My father is clear headed “ out of a fog” energetic and calm of mood. Unfortunately you cannot get a professional opinion on this treatment from his hospital doctors as they do not seem to have a clue. We have a follow up appointment in a months time but I doubt we would be believed if we told them of our at home intervention.